The second project meeting was the opportunity to share the lessons learnt during the last month by partners. Local Action Groups, are gathering together experts in the domain of adult learners who have been unemployed for a long period and support to collects background information. Besides this has support the development of the first Intellectual Output the report on ‘Transnational Report on accredited tools/programs on soft-skills for adult learners‘. This report represents a departure point as today, there is not much available information regarding soft-skills and how this could improve the employability of adult learners. The transnational report collects information about the situation in the partners countries on Educational, Training and Consulting Services to Improve the Employment-Related Soft Skills of Adults. Following the approval of the transnational report, partners are keep working on the collection of soft-skills assessment tools, at the moment. 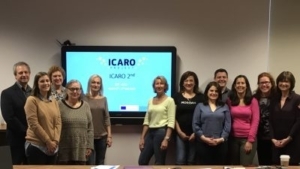 These tools will help to develop ICARO’s assessment tool. This is targeting adult educators, adult education organisations but as well adult learners who have been unemployed for a long term and with a need to reinforce their basic skills. The development of the training curriculum aims to provide learners with the information, knowledge and skills to increase their ability and opportunity to obtain employment. On the completion of the curriculum, the learner will have to create a portfolio of resources and competences that will inform their capacity and capability for job-seeking and job-keeping. The course should be delivered over 120 hours through an online learning platform. The programme is presented as 12 modules. Each module intended session length of 10 hours. The online programme will be complemented by a series of workshops/sessions (40h). Partners will start to work on the training curriculum as from October 2018. Five adult counsellors or trainers per organisation will be invited to attend to face to face training in Hamburg in November 2018. 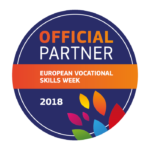 One of the goals of the project is to reinforce the collaboration with different organisation that works on the domain of soft-skills and adult learners education. 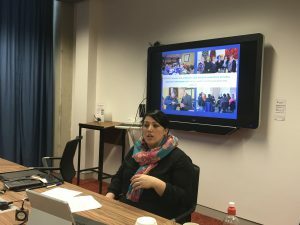 That’s why partners had the opportunity to meet the work of AONTAS – the National Learning Adult Organisation during the meeting in Dublin. In the same vein, ICARO has set up a Community of Practice at EPALE platform, in order to work closely with adult education experts.